Perform a thorough physical assessment (other medications taken, reflexes and muscle strength, skin color, temperature, texture, etc.) to establish baseline data before drug therapy begins, to determine effectiveness of therapy, and to evaluate for occurrence of any adverse effects associated with drug therapy. Option A is for tapeworms C for pinworms and roundworms, and D for whipworms and hookworms as well as pinworms and roundworms. This is not related to monitoring of client’s condition while under therapy. Serum electrolytes is important as client may have fluid losses as side effect of the drug. Prothrombin time is part of liver function test. Stool culture is important for establishing appropriate treatment. 1. Which drug is indicated for threadworm infections? 2. Answer. A. fever and chills. 3. 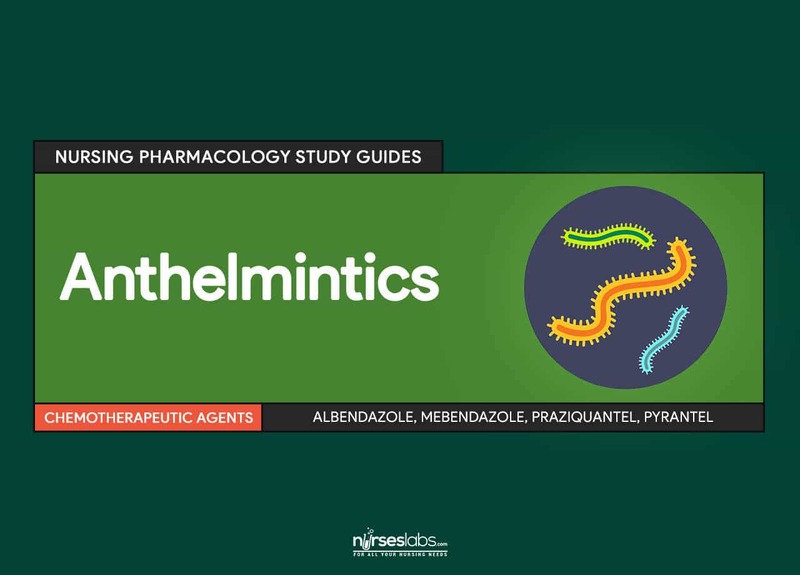 Which of the following physical assessment findings will alert the nurse for anthelmintic drug toxicity in elderly patients? 3. Answer: B. blunt liver edge upon palpation. 4. A patient was receiving dexamethasone was prescribed with albendazole. Which of the following is the most appropriate nursing action? A. Ignore the order and refuse to administer the drug. B. Increase the dose of albendazole and notify doctor. C. Discuss with the doctor for possible dose adjustment or change of medication. D. Decrease the dose of albendazole and notify doctor. 4. Answer: C. Discuss with the doctor for possible adjustment or change of medication. 5. Answer: B. T3 and T4 levels.